Pearse Redmond is an alternative researcher, published writer, and radio host in New York City. He covers a wide variety of topics including geopolitics, terrorism, ... See More cults, true crime, and deep politics. As host of Porkins Policy Radio Pearse has covered topics such as the OJ Simpson trial, the Jeffrey Epstein child trafficking case, inner workings of Scientology, and the CIA's role in destabilizing Jamaica. Pearse is the co-host of The CIA and Hollywood with Tom Secker, which explores the complex and incestuous relationship between the national security state and cinema. He is also the co-host of Porkins Great Game with Christoph Germann, where they explore the geopolitics of Central Asia, the Caucus, and the global war on terror. 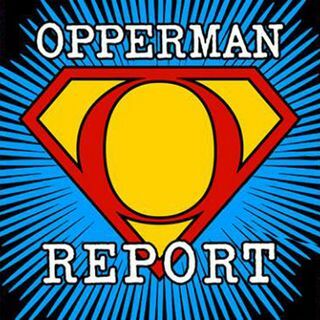 Join PI Ed Opperman with expert guests and authors as they discuss true crime stories in the news, conspiracy theories, issues of social injustice and NWO resistance.